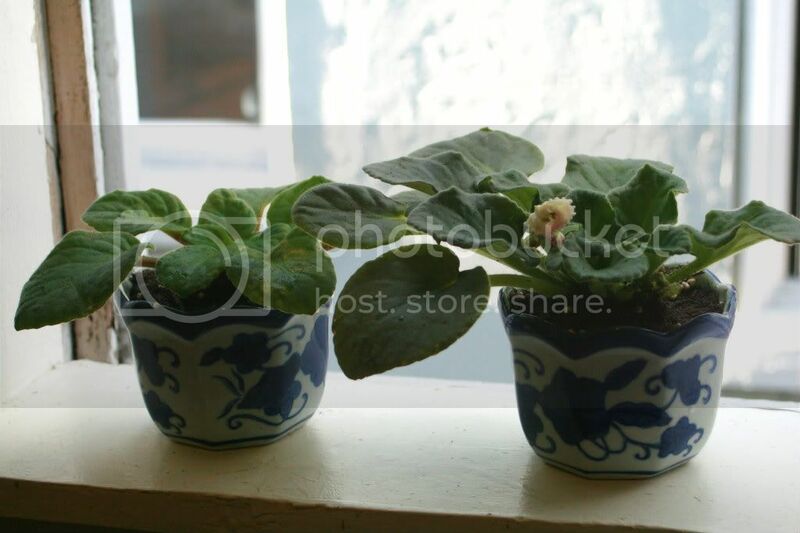 Jeffery brought home African violets, which I planted in little ceramic pots I found for $2 each at a hardware store on Polk Street. I love the blue and white scalloped edge. 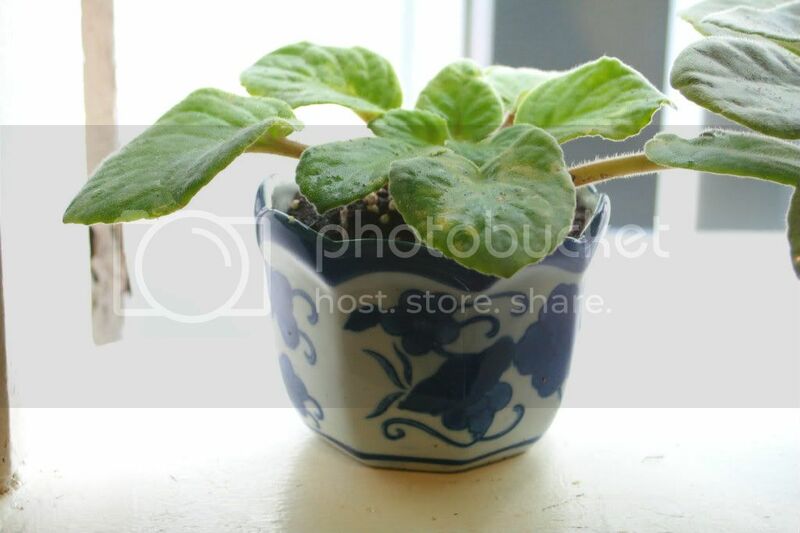 When she lived in California, my mom always had African violets growing on our kitchen windowsill. It's nice having something in my kitchen that reminds me of her. That window looked out onto our deck, which was covered in flowers and shaded by a large oak tree that swayed and creaked in winter storms. My kitchen window looks out at the neighboring building. At least there is nice morning light and this week it feels like summer. We have ripe avocados, which means it's time for guacamole.